Last Friday, I wrote the posting Will Isa ever "die" so Felda and FGV may live? Well, well, well. 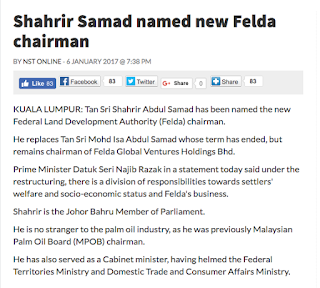 PM Najib Razak announced today that Shahrir Samad will replace Isa Samad as Chairman of Felda. 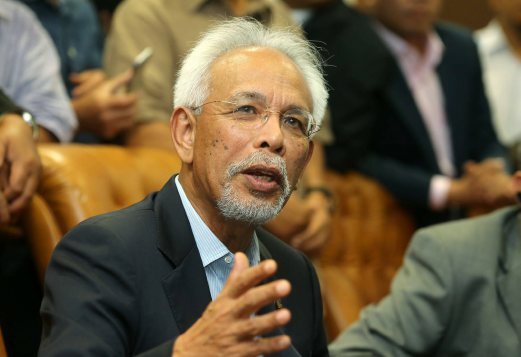 I wish the PM had appointed a non-politician to the post (Felda Chairman: Why Nazir Razak should consider, Jan 3) but under the circumstances, Shahrir's appointment is probably as good as it gets. For Shahrir is a different breed of Umno politicians. The benefit of hindsight tells us that this man has principles and he's got integrity. The only thing Shahrir does not have is time. Isa may have carried out a lot of programs to improve the lot of Felda settlers and their families (according to the press statement issued by the PMO) but he has also left Shahrir with a lot of holes to fix. Will Shahrir have enough time to turn around the negative perception that Rafizi Ramli and gang have patiently planted and replanted around Felda and FGV while Isa was Chairman? If Najib expects Shahrir to do that before the next general election, I'd say that's a tall order. Especially since there's that other problem: Isa is still Chairman of FGV. 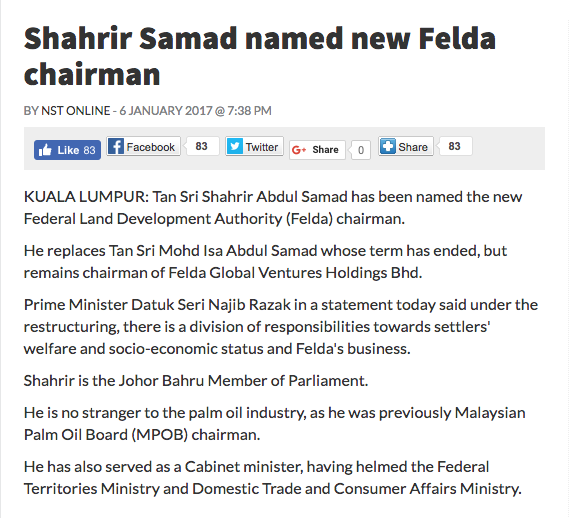 Nevertheless, a good start for Felda for the New Year. "The benefit of hindsight tells us that this man has principles and he's got integrity". from the lanun...the lanun gave him more cos' he has better "principles and integrity"!! My take is that Isa is counting his days in FGV. He wouldn't want to be reporting to Shahrir now, would he? Like you said eloquently: different breed. "I wish the PM had appointed a non-politician to the post"
The PM need loyalty, intelligence is optional. When the time comes, he can squeeze the balls of this new guy and make him sing.